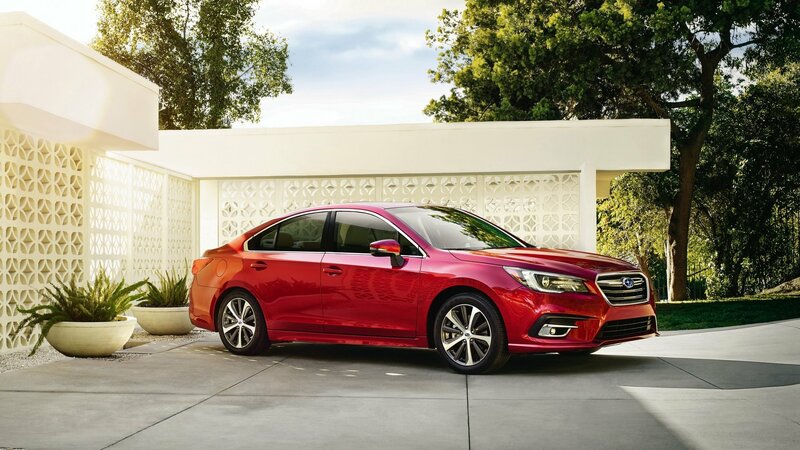 Introduced at the 2014 Chicago Auto Show, the sixth-generation Subaru Legacy received its mid-cycle facelift exactly three years later, at the same event. Redesigned inside and out, the current Legacy carried over with the same four- and six-cylinder boxer engines, but gained a host of new technologies and active safety features. The facelift leaves a rather soft print on the midsize sedan styling-wise, with the most significant upgrades having been operated in the technology department. The sedan now features better materials, smartphone integration, and new apps, among other features. The revised Legacy arrived just as Subaru of America posted its eighth consecutive year of record-breaking sales. Although Subaru isn’t the kind of automaker you’d expect to challenge giants like Toyota, Volkswagen, or General Motors, the Japanese firm is definitely on a roll that will lead to biggest investments in brand-new cars in the future. The Legacy is still some three years away from a complete redesign, but needless to say, the four-door is still up for a good battle in this crowded segment. Sure, with the brand-new Camry almost in showrooms and the current Accord setting new benchmarks in the midsize market, the Legacy could use a fresh look and better tech, but it’s not as dated as it seems. Find out how it stacks against competition from Toyota, Honda, Ford, and Nissan in the review below. Updated 06/23/2017: Subaru revealed prices for the 2018 Legacy that will arrive into retailers this Summer. Check the “Prices” section for the full details.